About Kate…. In October of last year, Kate was broadsided by an SUV while riding her bike. She sustained life threatening injuries including broken vertebrae and ribs as well as severe damage to her internal organs and a traumatic brain injury. Her injuries subsequently led to an autonomic disorder with lifelong implications. She faces multiple surgeries and challenges in her future however, her spirit is indomitable and she is an inspiration to everyone around her. In addition to Kate’s inability to work, her mother had to leave her job to help care for her. While health insurance is addressing her medical needs, they are in desperate need with day to day living expenses. 100% of the proceeds from the Purely_Palmar race will go to help offset these expenses. On Saturday, May 5th, Full Throttle Endurance will host the "The Purely Palmer Indoor Triathlon Charity Relay” for Kate Hammond from our Full Throttle / New Milford family. It has been my pleasure and honor to know and work with Kate Hammond while she fights through the effects of a life changing bike accident (for more, see “About Kate” below). 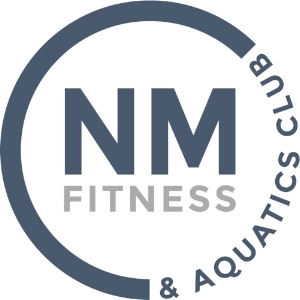 On Saturday May 5th, the Full Throttle Nation and the New Milford Fitness and Aquatics Club and staff will come together to show support as we race the "The Purely_Palmer Indoor Triathlon" event as a relay TEAMs event. Every area of the Full Throttle / NMFAC family has jumped in to support this awesome relay race for a cause...to support Kate through her recovery. Each Relay will have 1 athlete swimmer, biker, and runner for the following distances at or above. You can also compete as an individual. Each "Team" will donate $50 for the race event, individuals pay $25. You can also donate without racing by accessing the link on the bottom of this page. Please talk to your partners to make sure each TEAM is registered and confirmed. You are not registered until the $50 per TEAM has been confirmed through PayPal. If you need an athletes email, please let me know as soon as possible. To keep things simple, after one of the team members has paid for your Team, you will be checked off the list and will be eligible to compete. You will then need to email me your team member's names so that I can organize the start list. I will then email a list of start times to all registered participants. Fastest time to the finish line wins..
Will this be the year of Girl Power? 1) The Female overall winner and male overall winner will receive a pair of Rudy Project Sunglasses. Coach David Martin will be your race director, whatever he say goes.. There will be a table set up with bike kits to purchase, fueling, baked goods, etc and proceeds from those purchases will go towards medical expenses for Kate Hammond. Thank you all so much for supporting Kate these past months. It means the world to her.